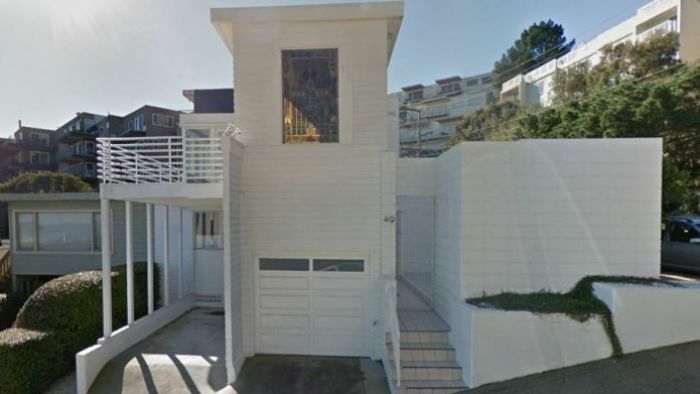 A man who illegally demolished a famed San Francisco house designed by modernist architect Richard Neutra has been ordered this week to rebuild it exactly as it was. Ross Johnston had received permission only to remodel the two-storey house he bought for $US1.7 million in 2017 with a design that would have largely kept the first floor intact, the San Francisco Chronicle reported. Instead, everything but the garage door and frame of the house was knocked down. Neighbour Cheryl Traverce told local media she filed a complaint after travelling to New York and finding the house demolished on her return. Mr Johnston later applied for a retroactive demolition permit and asked to build a new three-story house that would expand the size from 121 to nearly 372 square meters. Mr Johnston said he wanted to move his family of six into the larger home. “I have been stuck in limbo for over a year,” he told the seven-member commission. His lawyer Justin Zucker argued that the house’s historic value had been erased over time because of a 1968 fire and a series of remodels in the 1980s and 1990s. But the city planning commission ordered Mr Johnston to rebuild it, rather than the larger house he had planned, and to also add a sidewalk plaque telling the entire saga of the house’s origins in the 1930s, its demolition and replication. It is not known whether he will follow through. A call and email message seeking comments from Mr Johnston’s lawyer have not been returned. Ms Traverce described the decision as a “victory for the neighbours and the little people”. The house in Twin Peaks, known among architecture buffs as the Largent House, was the Austrian architect’s first project in San Francisco. Planning Commissioner Kathrin Moore said she was confident that a replica could be “executed beautifully in a way that would be consistent with the home’s original expression”.